Hello & Welcome to Santorini! 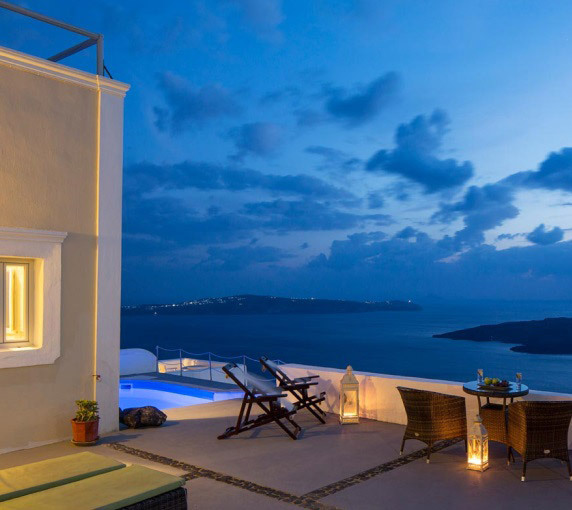 Noni's Apartments can be found in Fira at the edge of the Caldera cliffs. 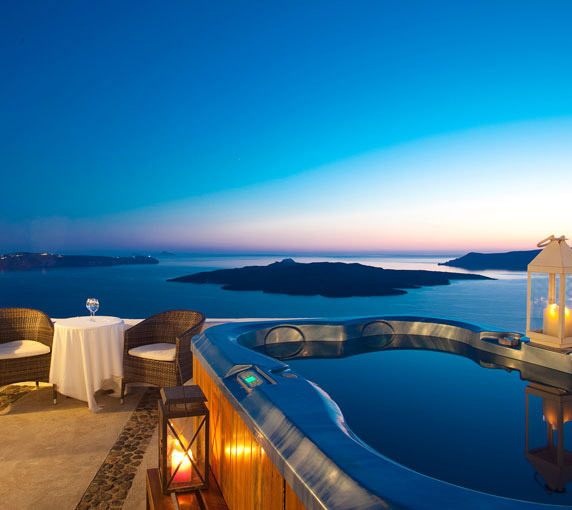 The hotel features uninterrupted breathtaking views of the Caldera, Volcano and Sunset. 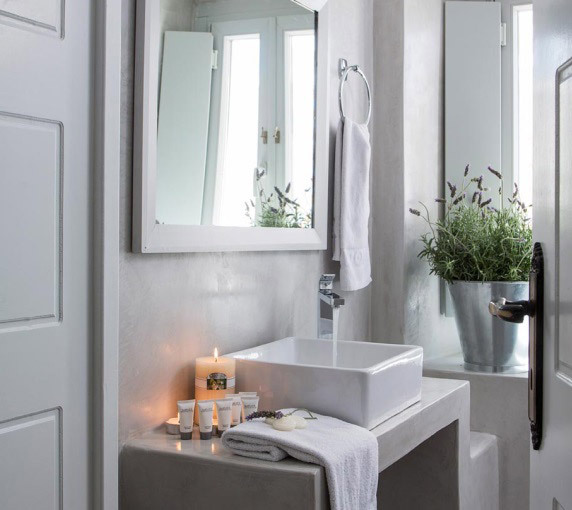 Noni's Apartments has the perfect location since it is situated on the quietest part of the Caldera - although only 100 metres from the town centre, it also has the tranquility you seek to fully unwind and relax whilst on holiday. 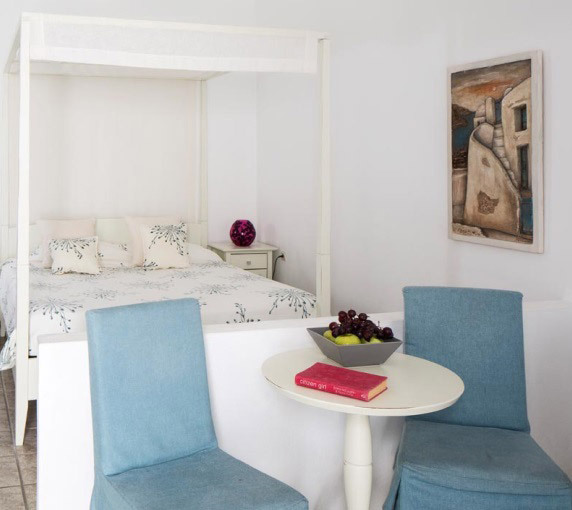 The accommodation is decorated in traditional Cycladic style with modern amenities and comforts. 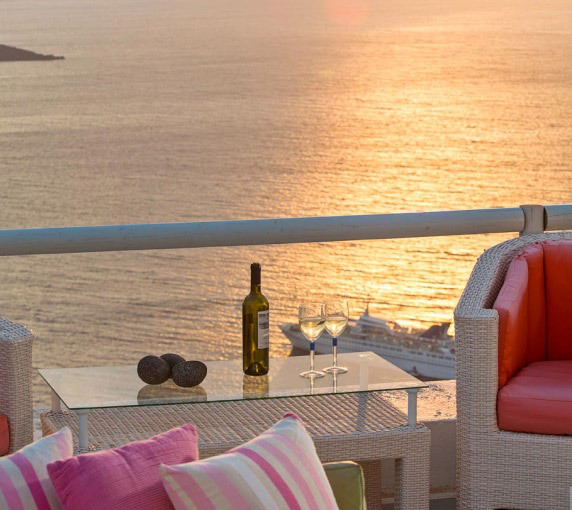 The Apartments have direct access to the Caldera Sunset terrace with the Jacuzzi and the Room has a private balcony all to itself. Experience an Authentic Santorinian Cave House! 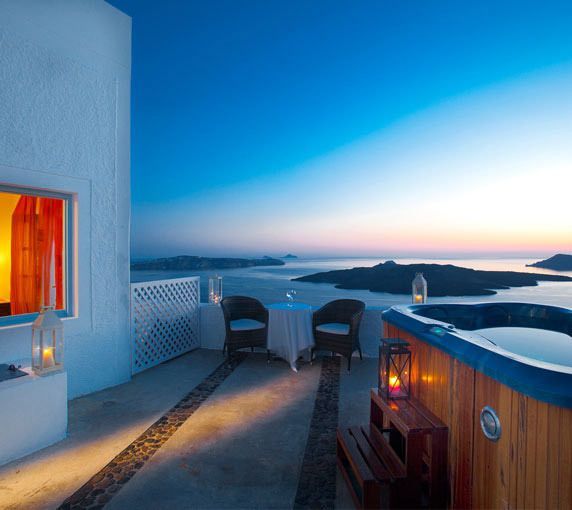 Create the perfect end to the perfect day and slip into the Jacuzzi, enjoy the endless blue of the Aegean & gaze at the island known as Santorini" So beautiful you could drink it in a glass" ..
Noni's Apartments is close to shops, cafes, clubs, restaurants & nightlife. 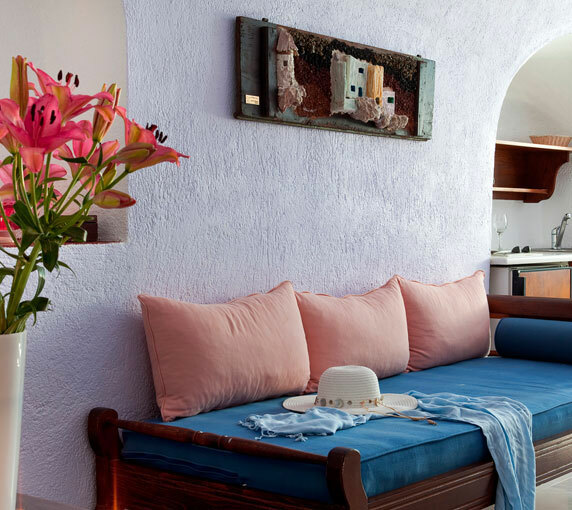 The Cave House Apartments have domed ceilings and are tunneled into the rock face of the caldera They provide a living room and separate bedroom and can sleep between 2 to 6 persons, & is ideal for families with children, a group of friends and even for romantic couples. The Room is for 2 persons. Room facilities : TV, A/C, fridge, safe box, CD / DVD music player with Radio & a kitchen in all cave apartments & most rooms. We offer Guests free WiFi internet connection & laptop (on request). Bookings & requests are received by the hotelier. You can book online by clicking the 'CHECK AVAILABILITY' button or use the form to make a Reservation or to ask for more Information. For best service, make sure you fill in all form fields.